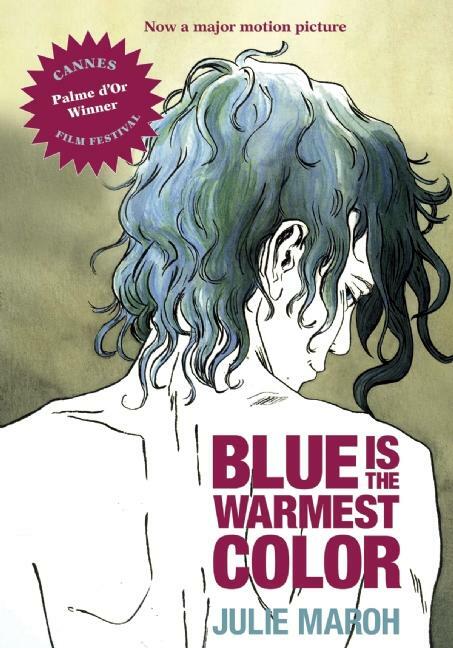 The long-awaited English translation of Blue is the Warmest (Arsenal Pulp Press), originally published in French as Le bleu est une couleur chaude, is a deeply compelling story, in large part due to its thorough exploration and attention to character. The graphic novel is told almost entirely in retrospect, as the formerly blue-haired Emma reads through the diaries of her deceased lover, Clementine. The diaries begin in 1994 France when Clementine is a fifteen-year-old sophomore in high school and continue over a decade into the future, though they focus largely on the rocky development of her and Emma’s relationship when Clementine first begins to discover her attraction towards women and struggles to accept her sexuality. 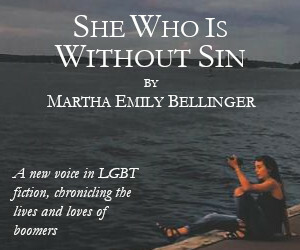 With close-minded conservative parents and only one gay friend to confide in, the teenage Clementine internalizes her desire for Emma, caught in a wonderful and terrifying limbo that many queer youth are likely to relate to, one between discovering lust and feeling ashamed by who you lust after, between falling in love and self-hate. “Coming out” and “first love” stories seem like difficult territories for any author to navigate as they have been told time and again and are challenging to portray in new and interesting ways. Though the plot of Blue is the Warmest Color is not necessarily new, it is specific to the experience of its characters, and the writing is without a doubt at its strongest when it is filtered through Clementine’s unique perspective. This rings true in a beautiful scene that takes place twelve pages into the novel when Clementine agrees to go on a date with a cute boy from school after being pressured by her friends. Maroh’s delicate and comprehensive drawings, detailed only in shades of gray, portray Clementine walking through an outdoor plaza in apprehension of her date. In the hand-written diary entry visible in the corner of the illustration, Clementine writes, “My heart beats fast when I think about what’s going to happen.” This line not only reveals Clementine’s state of mind, but it is also written in a voice that is particular to her character. While a different fifteen-year-old girl might say, “My stomach hurts,” or, “I can’t stop sweating,” the words here belong to Clementine and they resonate because they read as true. In the following illustration, Clementine looks ahead into the crowd of people rushing past her. The gray shading gives way to a speck of blue in the distance – Emma’s hair barely visible over the dark shoulders of the passing people. This is the first time that the two girls see one another, and in this instant, the prose fade completely, allowing the reader to focus only on the visuals which reveal Emma through Clementine’s eyes. That night Clementine dreams of blue hands moving all over her body. No words are necessary. We are simply in the moment, experiencing lust as Clementine does. The majority of the novel succeeds in a similar manner as this scene. The writing is just as successful in depicting the confusion and turmoil of Clementine’s coming out as it is in its depiction of her falling in love. In several scenes, Clementine is shown curled in the fetal position, or hunched over the pages of her diary, the gray walls of her bedroom closing around her. She writes, “I feel lost, alone, at the bottom of a pit. I don’t know what to do,” or, “…I hate myself and I bury myself in the ball of fire that is screaming to get out of my guts.” While these lines might seem affected in the voice of a different narrator, they read as honest in the voice of Clementine, as if she is expressing her emotions as best as she is able—perfectly capturing her loneliness and her desperate want to be free of angst and to gain peace and acceptance. These moments interweaved with the happier moments when Clementine is able to accept herself or the peaceful moments when she is wrapped in Emma’s arms—moments made rich with descriptions such as, “I felt as if light were running through my veins”—beautifully render the complexity of her character, and of human beings in general. These scenes suggest that while there are no permanent states of happiness or peace, there are moments when happiness and peace are absolute. Maroh’s illustrations are striking and consistent. One only has to look at the page to understand when her characters are nervous, excited, suffering, lustful, or experiencing intense passion. Perhaps the strength of the drawings is why the prose sometimes feels overdone. There are a handful of scenes when the narration reads as vague or unnecessary. Shortly after Clementine sees Emma for the first time in the plaza, she writes in her diary, “Teen problems seem trivial to other people. But when you’re alone and smack in the middle of one, how are you supposed to know what to do?” The voice here sounds less like the nervous fifteen-year-old talking about her heartbeat just a moment before, and more like an older, wiser narrator winking at the reader. But given the strength of the previous scene, the reader understands that Clementine’s conflict is not trivial without the commentary. This older voice, which appears from time to time, is much more successful later in the novel when Clementine is nearing thirty and understands more fully the experience she had at fifteen. More vague dialogue, as when Emma says to Clementine, “If I can’t spend the rest of the nights I have left to live with you, then this life is not worth living,” read as unbelievable—not because this is a line that readers have likely heard before (it could be possible that Emma has heard this line before too and finds it best expresses her feeling towards Clementine), but because up until this point Emma’s character is developed as an eccentric art student with dialogue so witty and authentic that a line like the one above reads as more cliché than true. But even when the prose is more vague than it is specific, Morah displays tremendous insight into the highs and lows of a young girl’s journey of self-discovery as she moves from adolescence into adulthood. Paige Cohen is a graduate of The New School M.F.A. program. 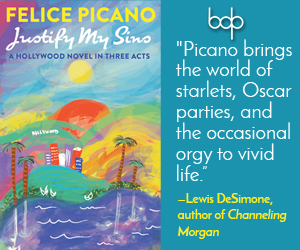 Her writing appears or is forthcoming in PANK Magazine, Berfrois Magazine, Gertrude, BuzzFeed LGBT, T(OUR) Magazine, and Writer's Bloq Quarterly. Her short films have been featured in the San Francisco Frameline, New York NewFest, and Salem Film Festivals. She currently lives in New York City. I hope we see this level of honest, detail and intelligence in further films about 2 women together in life.